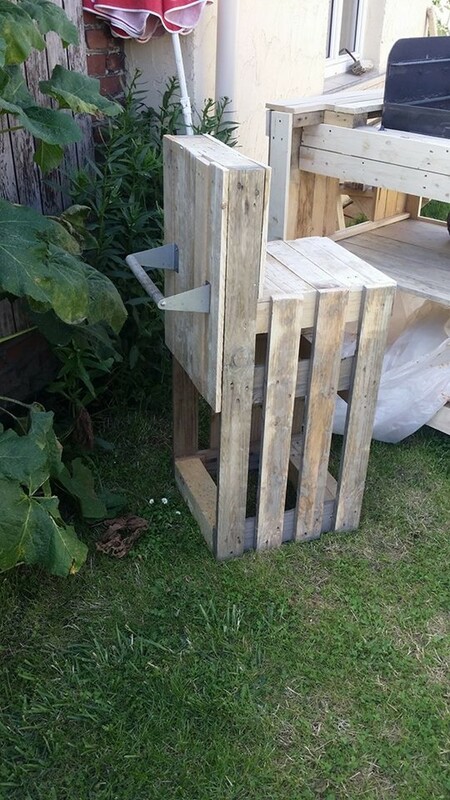 Never in my life I have had so much composed and dedicated thoughts for some reason as I do have for this cause, the wooden pallet recycling cause, because I have always taken it as a cause and ambition. Because this is truly a cause, we are trying to preserve the trees for the good. 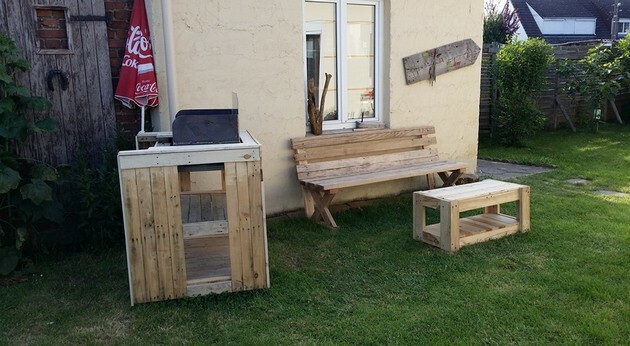 Today we have brought not only a wood pallet recycled BBQ table but we are going to create a whole space a set up where everything related to the activity would be included. 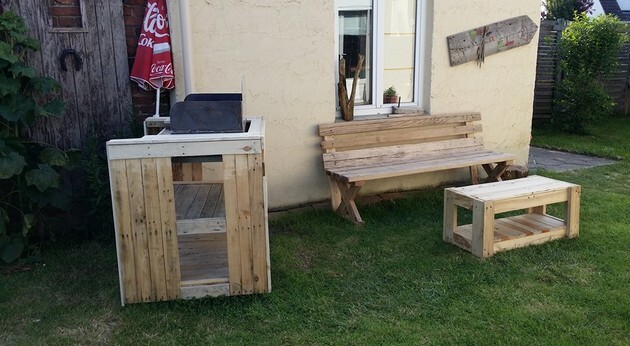 A whole set up of the wood pallet made BBQ space. Do you guys see the three wooden creations in the site all made especially for the moment when there would be a party going on and some finest beef stakes would be in process, then these wooden creations would be needed. I am equally excited to let you guys know about this whole range. 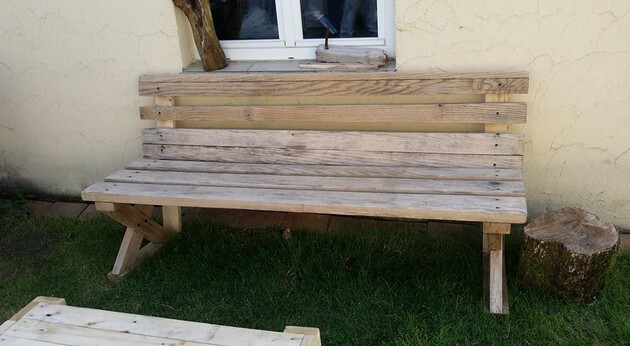 First of all consider this rustic pallet wooden bench that is made with some of the freshest shipping wood pallets. This is probably for the one who would be served immediately. We haven’t bothered to properly stain it as it is going to be used outdoors. 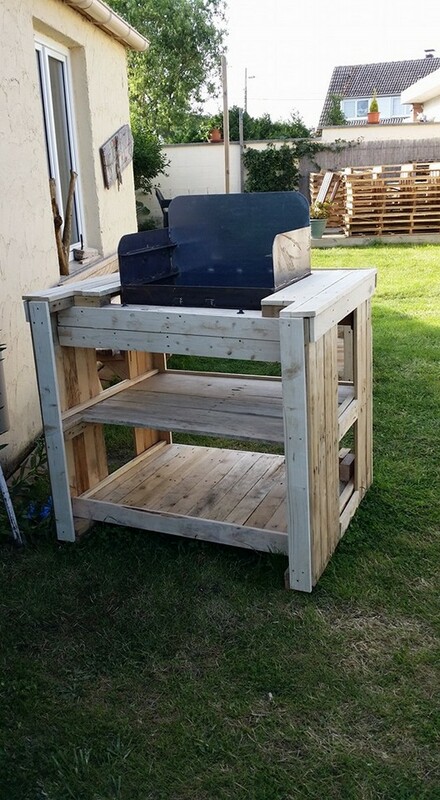 Now this is the front table that is reasonably sized, we have paid much attention to the design as this was meant to be dedicated for the certain activity that is BBQ, so we designed it in such a manner that fresh food could be served on it on immediate basis. 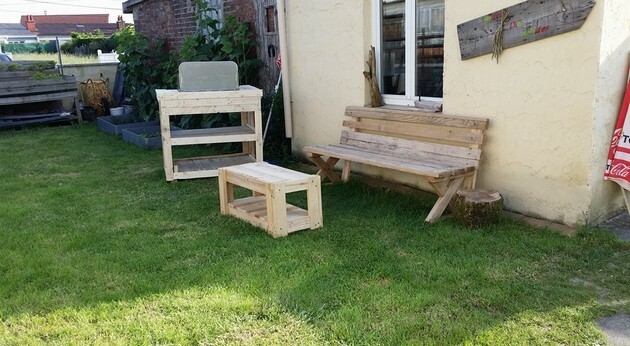 Just have a distant look that how exactly this trio of the pallet wood recycled furniture look, isn’t this most appropriate for the moment? 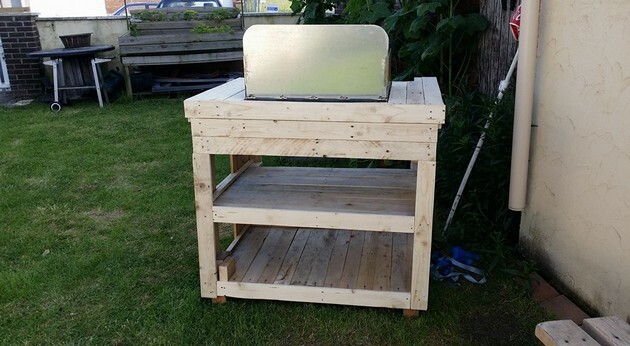 It is simply lagging nothing, it has got all the essential features that make it an ideal range to be used while doing BBQ. And here is the most important component of this whole set up, the main BBQ table. We can clearly see that it has got a specified grilling or iron made portion where coals are going to get burnt and the meat is going to be roasted. 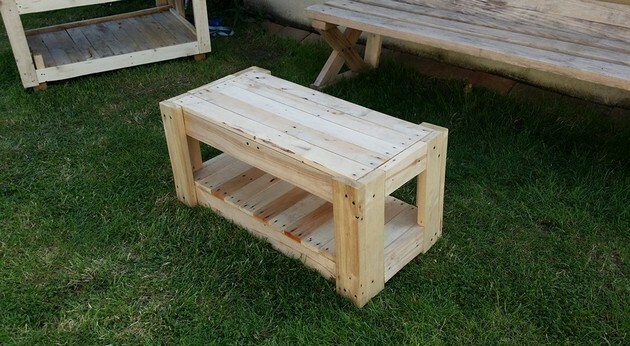 Also look below the iron portion, it has got some ample space right below the upper portion which can be conceived as a common wooden pallet table. 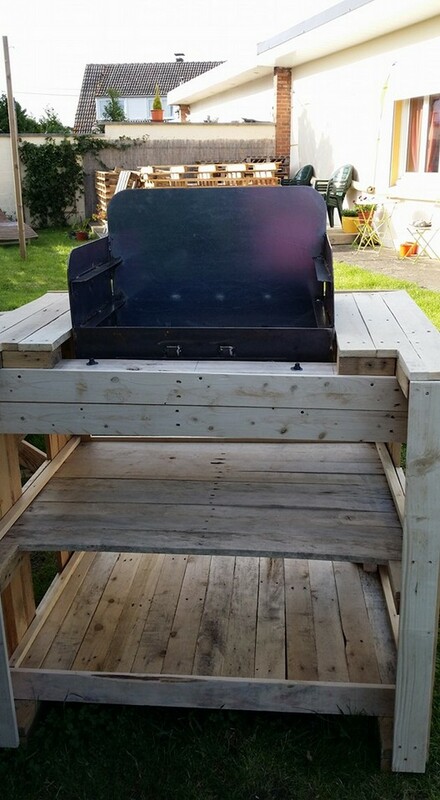 So that means that the rest of the portion can be used as a regular wooden table where we would place all the BBQ related material. We immediately placed the whole set up on the place where it was meant to be placed. This is the wide spacious patio of the house where a lot of events and get together are organized. This time the BBQ party is going to be conducted in a whole new manner where the guests are going to be surprised by all these special arrangements. 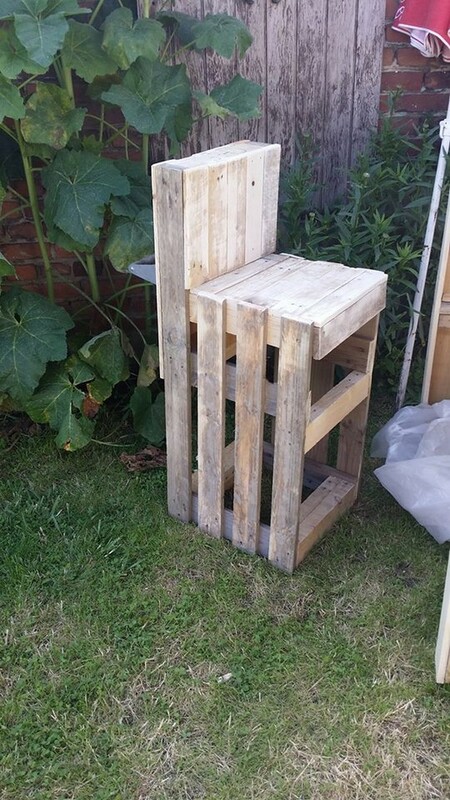 And finally this rustic raw wood pallet stool was made with the leftover pallet planks. They were pretty broken as this was the left over material, but still it did a fine job for us as the set would not be complete without this tiny stool.